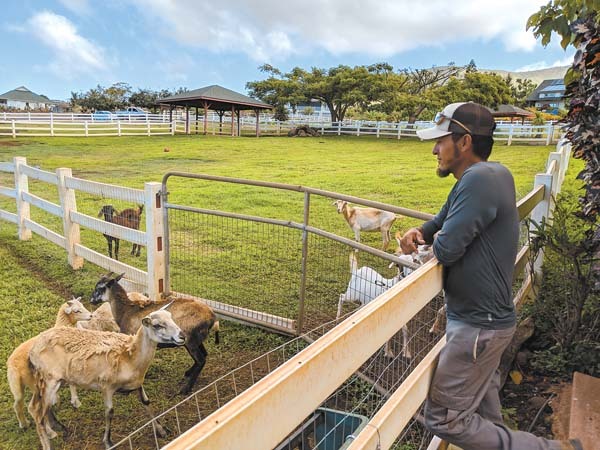 LAUNIUPOKO — More than seven months after a wildfire burned to the edge of its property and sent animals scattering, Lahaina Animal Farm is reopening for tours. A new peacock pen and more animals are part of the tours, beginning today, which allow visitors to touch and feed some of the 60 animals, including miniature horses and cows, goats, pigs and tortoises. The farm at 108 S. Lauhoe Place had been operating for about seven years before closing about two years ago after it was sold by the previous owner. 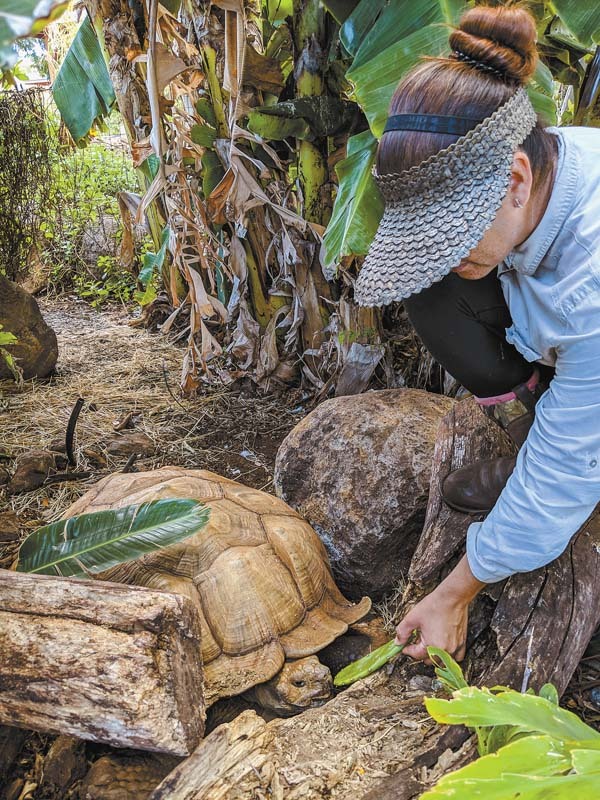 Yorlenis Udave feeds cactus to Tonka the tortoise, who was the last animal to make his way back to Lahaina Animal Farm after a wildfire burned to the edge of the property Aug. 24. It had been set to reopen last year before brush fires blackened more than 2,000 acres in West Maui. Residents who had been preparing for Hurricane Lane were evacuated in the early-morning hours of Aug. 24 as wind-whipped brush fires neared homes. Before leaving the farm, the couple opened gates to release the animals. Sanchez turned on the property’s irrigation system and left sprinklers running. She and Sanchez spent hours waiting along the Lahaina bypass before police reopened Kai Hele Ku Street at about 4 p.m. Aug. 24 and allowed residents to return home. Most of the animals were out of their pens but still on the property, Udave said. She said the goats were at the lower portion of the driveway, and the miniature horses were eating grass on a neighbor’s property. “With food, we were able to get everyone back in,” she said. The couple stayed at the property for a few hours before leaving to spend the night in a hotel until the smoke cleared. 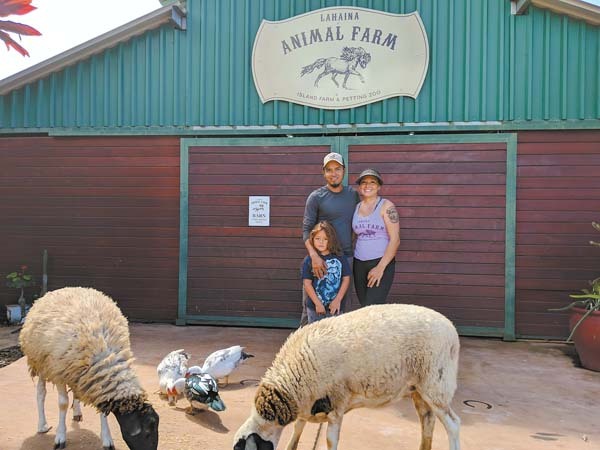 Caretakers Gilberto Sanchez and Yorlenis Udave pose with their 5-year-old son, Tonatiuh, as Dorper sheep eat in front of the barn at Lahaina Animal Farm, which reopens for public tours today. Honey Girl, who is 3 years old, now shares her space with a 7-month-old boar named Mohawk because “when he’s excited, all the hair on his back stands up,” Udave said. 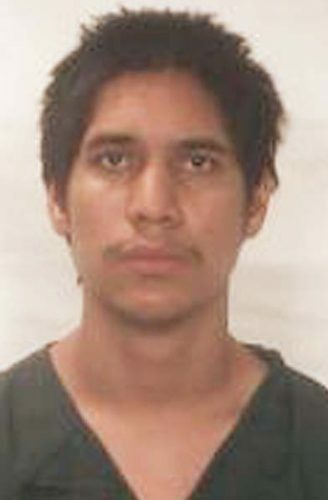 The last animal to make his way back was Tonka, a 35-year-old tortoise who weighs about 150 pounds and can move pretty quickly, Sanchez said. “We were very, very, very lucky,” Sanchez said, noting that all the animals survived. Sanchez wasn’t so sure the burned vegetation would fare as well. 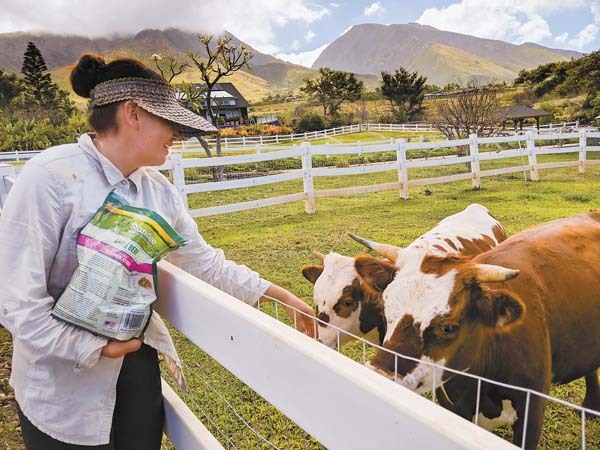 Yorlenis Udave hand-feeds miniature cows Kuuipo (right) and daughter Pono at Lahaina Animal Farm. The cows are about half the size of regular cows. But with rains after the fire, bamboo and trees survived. He replanted Areca palms along one edge of the property. The couple became caretakers of the property after moving to Maui from Mexico, where Sanchez was working as a psychologist. The couple looked for unique animals and worked with them to make sure they were friendly. “We needed to make sure we made it the best place for kids to come,” Udave said. At first, the couple thought they would stay for a year. Before he started school, their 9-year-old son, Iqui, helped with the tours, showing visitors how to hold food in his palm to feed animals, Udave said. She said he also would take frogs out of the pond and hold them, encouraging other children to do the same. The couple’s 5-year-old son, Tonatiuh, also may be helping on some tours. She said that applies in the tours, which are “touching and learning” experiences. At a Crown Flower tree, children can look for and hold tiny caterpillars that will eventually become Monarch butterflies flitting through the branches. Children can catch tadpoles and look for hidden eggs in another area that includes a pond inhabited by turtles and fish. And visitors learn about the importance of bees, which pollinate crops. From two hives on the property, raw honey is harvested and sold at the farm. The cost is $25 a person, with children under 2 free, for the public tours from 9:30 to 11 a.m. Mondays through Saturdays. Reservations can be made online at www.lahainaanimalfarm.com. Private events, such as birthday parties, also can be booked online. The farm offers kamaaina rates and sets aside one day a month for school tours, as a way of giving back to the community, Udave said. 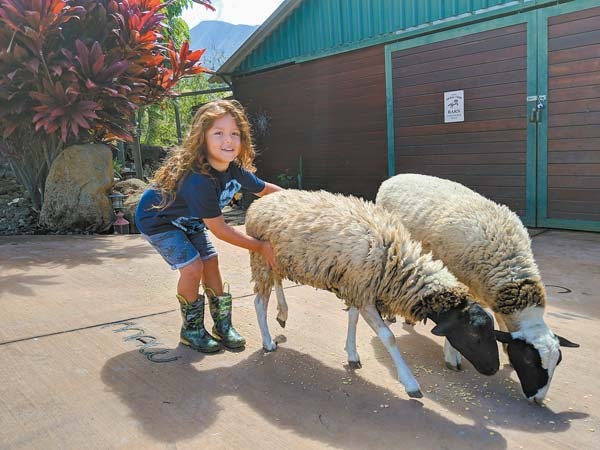 With the reopening this month, the farm will have bunnies and chicks at the Sacred Hearts School Bazaar on April 12 and 13 in Lahaina. An Easter fair at the farm is planned April 21. Lila Fujimoto can be reached at lfujimoto@mauinews.com. Anthony Levora paddles ahead of Michael Eilers and Wilson Angel on his way to winning the OC-1 junior division. Paul and Christine Donovan tackle the 9.5-mile short course, from Maliko Gulch to Kahului Harbor. Jack Roney paddles to a third-place finish in the long course.